My name is Bat-Zion Susskind-Sacks; Bat-Zion is Hebrew for "Daughter of Zion". I grew up in Israel in the nineteen fifties and sixties, the daughter of Holocaust survivors. Like all Israelis, I served in the Israel Defense Forces, and then I moved to the USA to further my studies. I have lived more than half of my life outside Israel, in the USA, New Zealand and Great Britain. 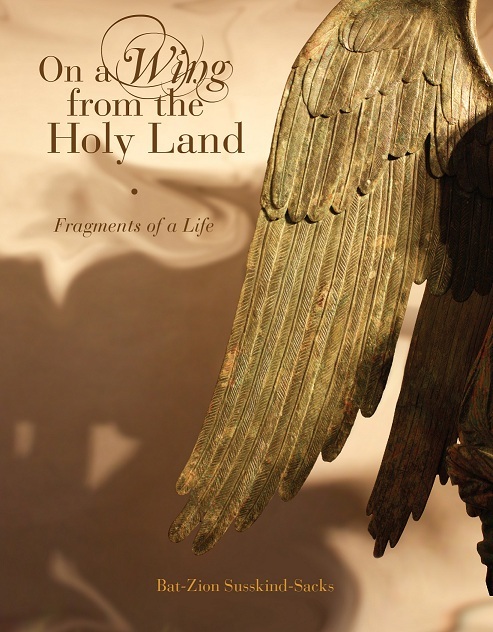 I have returned to my homeland Israel with a rejuvenated love and pride, and I have endeavoured to express those deep feelings within the pages of my first novel, On a Wing from the Holy Land. I invite you to explore this site and get to know more about me and the story I have written.